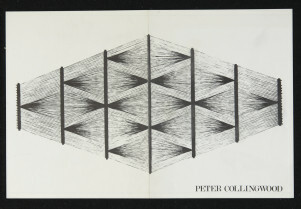 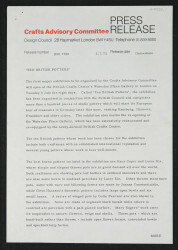 The origin of Contemporary Applied Arts remounts to 1948 and the founding of The Crafts Council of Great Britain (precedent of the current Crafts Council). 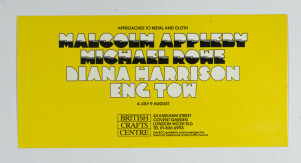 In 1967 it became the British Crafts Centre (BCC) whose aims were to promote the best work and to educate the public, primarily by exhibiting members' work. 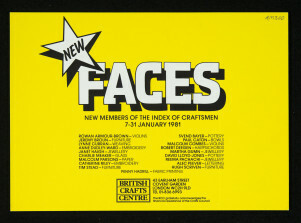 The criteria for selection were that works should be contemporary, distinctive, and original in concept and among the best of their kind. 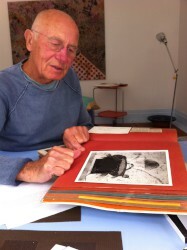 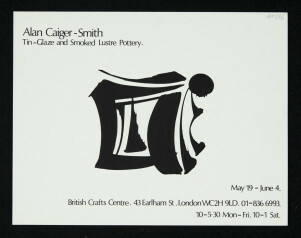 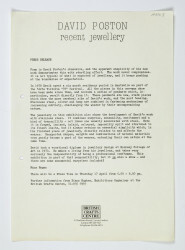 In 1987 the BCC changed its name to Contemporary Applied Arts (CAA).